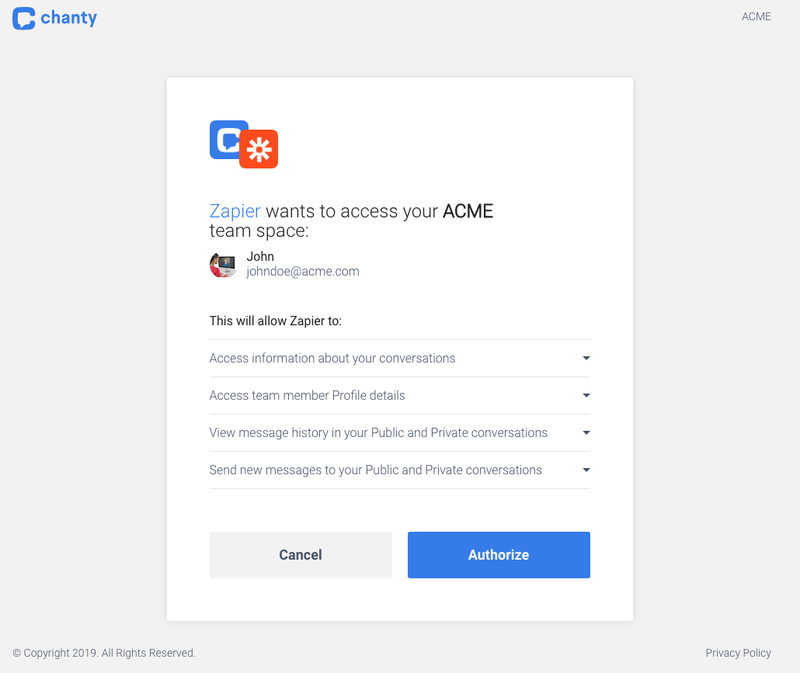 Zapier lets you connect 1000+ apps using workflows called Zaps, connecting your team space to hundreds of other apps and automating specific daily tasks. Creates a message in a Private conversation. Creates a message in a Public conversation. 1. 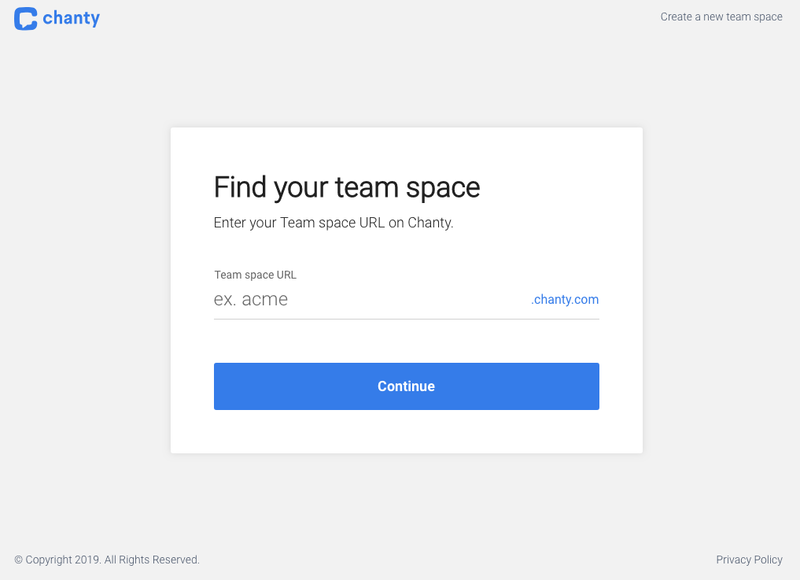 Visit the Zapier page on Chanty website or find Chanty directly on Zapier. 2. Browse and pick from popular Zaps for Chanty clicking Use this Zap, or hit Make a Zap! on Zapier to create you own automation. 3. 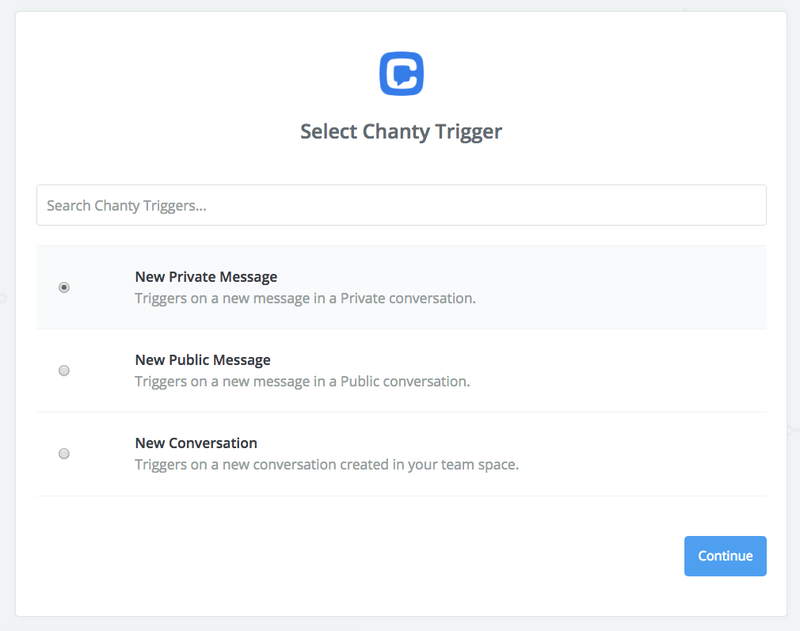 Choose Chanty trigger and follow Zapier prompts, to connect your Chanty account. 4. Choose the action among 1000+ apps on Zapier and complete the setup of your Zap. 5. When you’re done, click Save + Continue, then Finish. 6. Name your new Zap and turn it on. 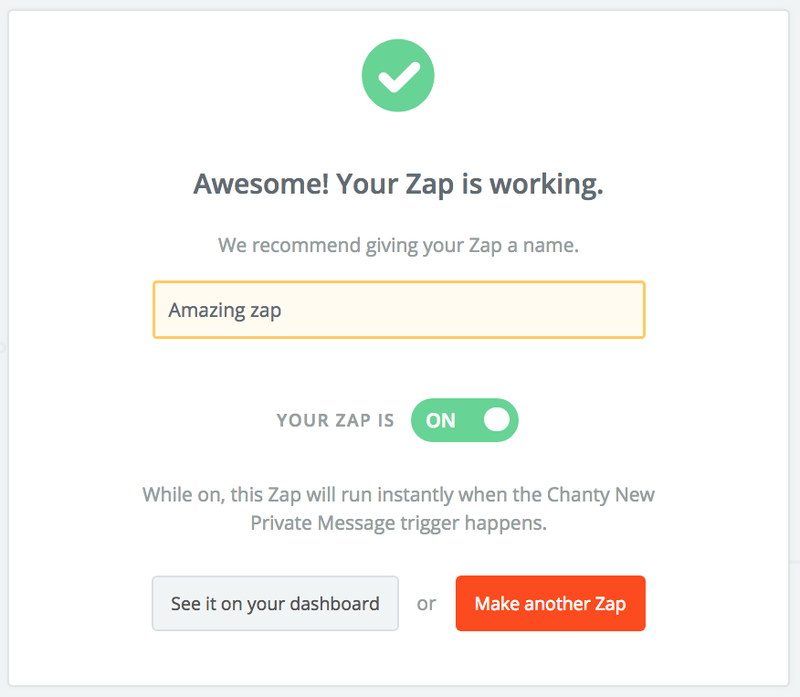 Successfully created Zap will notify you with Awesome! Your Zap is working window. Congrats! Your recently created Zap is now on your dashboard where you can manage all the Zaps you have. 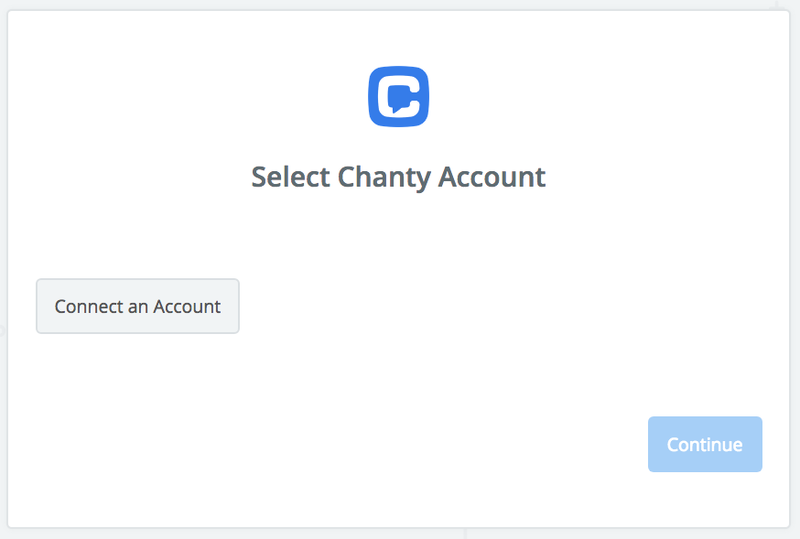 You can continue automating more tasks with Chanty on Zapier. Join our Facebook community to share your experience or get assistance from fellow Chanty users. We want to know everything: bug reports, feature requests, questions or feedback for us to improve. 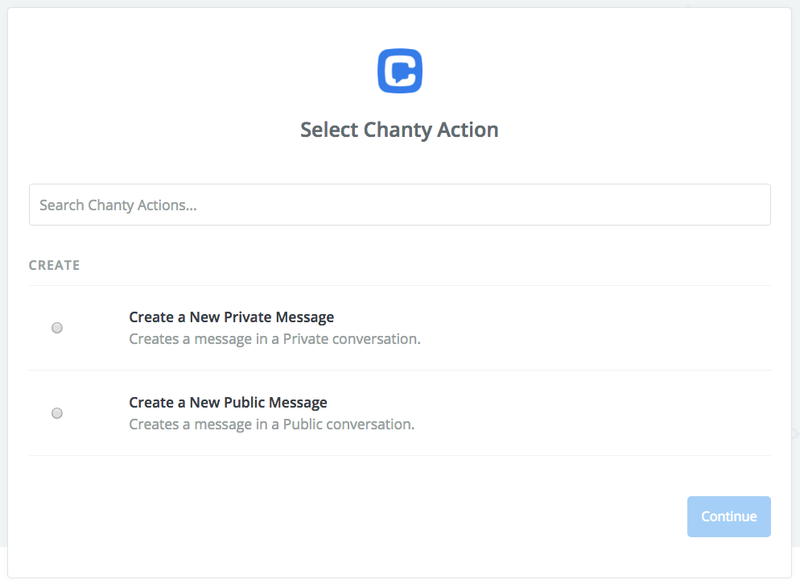 Join Chanty community in Facebook or fill in the form and hit Send request.